The alkaline diet is one of the newest trends in the health and nutrition world. Many promoting this philosophy claim that not only will you lose weight; your health will also be better than ever. In fact, some even go as far as claiming that the alkaline diet can cure and prevent chronic diseases like cancer (1). The basis for the alkaline diet is a return to how we ate before the agricultural revolution, a time when tribes of hunter-gatherers were thought to live mostly off of a diet rich in food that was mainly alkaline in nature (2). Let’s explore what the alkaline diet is about and whether there is any truth to its theories, or if it is just another fad diet. What exactly is the alkaline diet? The alkaline diet is based on the philosophy that the foods we eat on a regular basis work to either increase the acidity or alkalinity of our body. This is otherwise known as our pH value. The theory is that certain foods will make your body more acidic and therefore more prone to chronic illness like cancer. Conversely, other foods increase the pH of your body, and these foods are considered alkaline. An alkaline state is thought to be favourable in terms of maintaining your health. The third group of foods is said to be neutral in that they exert little or no change over your bodies (more specifically blood’s) pH level (3). Acidic: Protein rich foods– meat. Eggs, fish, dairy. Alcohol and grains. Neutral: Starches, sugars and pure unprocessed fats. Alkaline: Fruits, vegetables, nuts and legumes. The pH value of something is a measurement according to a scale in terms of how acidic or neutral the substance is. If you want to brush up on your high school science, read more here. After we have eaten, our bodies get to work to process or metabolise the food. A certain amount of residue (or ‘ash’ as it is referred to) is left behind from processing the food. This residue has a particular pH, depending on what it was. What is interesting is that you can test the effect that the food has by testing your urine with a pH stick. So eating a broccoli soup will leave you with more of an alkaline urine value while eating a big steak will leave you with more acidic urine (4). One of the guidelines of the alkaline diet is to monitor your urine pH value and make adjustments to your diet accordingly. The problem with this is that the pH of your urine is not a great indicator of your of your overall body pH. More importantly, it does not predict your blood pH. Food can influence the pH of your urine, but NOT your blood. Unless your kidney’s stop working (5). Our bodies are incredible machines designed to ensure that our blood pH does not change. Our blood stays at an optimal pH of 7.4. Note: Our pH only changes in extreme life threatening situations like kidney failure, lung diseases, uncontrolled diabetes and severe dehydration as a result of vomiting and diarrhea (6). Firstly the acid residue produced from your diet is buffered by bicarbonate ions that are found naturally in our blood. Bicarbonate is naturally alkaline and therefore works to neutralise any acidity. Secondly, the by-product of the bicarbonate doing its job is carbon dioxide which is released through our lungs as we exhale and also through our urine. Lastly, the kidney works to produce more bicarbonate ions, it then sends these back to the blood to replace those that were used (7). An acidic diet does not cause cancer. One of the main philosophies of the alkaline diet is that diets rich in acidic foods cause cancer. The theory is that cancer only grows in acidic environments and alkaline environments, therefore, discourage cancer from growing. First off, while cancer does prefer an acidic environment, it works to create its acidic medium to grow in (8). Secondly, cancer can, unfortunately, grow in any medium-alkaline or acidic. The acidity of your diet is therefore not relevant to cancer growth. Don’t get us wrong; your diet is still very important when it comes to preventing certain diseases like cancer however it is not in the way that the alkaline diet suggests it. 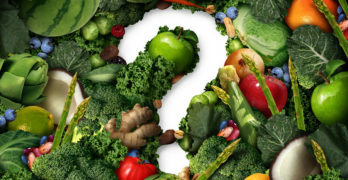 Is the Alkaline Diet a Healthy Option? The good news is that a diet rich in vegetables, fruits and good quality fats can only be good for you. 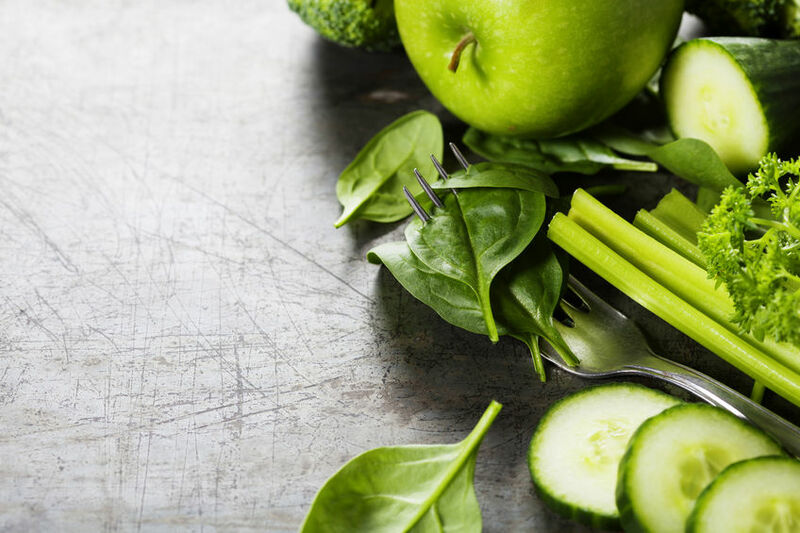 If you are currently following an unhealthy diet and switch to the alkaline diet, you will more than likely lose weight and your health will improve. But don’t kid yourself; it won’t have anything to do with your body’s acid-alkaline balance and more to do with cutting back on unhealthy foods.